FULTON, NY – The world’s most famous clown, Ronald McDonald, will be making a rare Upstate New York appearance at the Fulton Speedway on August 8. On August 8 Ronald McDonald will bring his fun to all the fans in attendance and will also have a meet and greet with all the Junior Fan Club members. 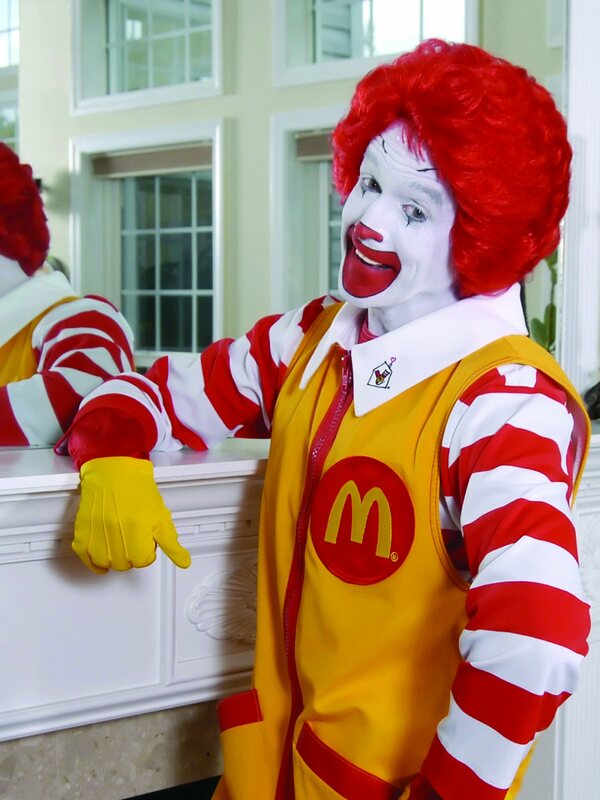 Joining Ronald will be another well-known McDonald’s character, Hamburglar. Racing on that night presented by McDonald’s® Restaurants will be the Tracey Road Equipment Modifieds, SUNY Canton Sportsman, NAPA Late Models, E&V Energy Novice Sportsman, Hilton’s Automotive Four-Cylinders plus the wild and crazy One-On-One Spectator Races. Don’t forget to go and vote for your favorite Fulton Speedway driver. From now through Labor Day, fans are encouraged to visit participating McDonald’s locations and cast a vote for their favorite Fulton Speedway driver. Votes will be tallied after Labor Day and the driver with the most votes being named the McDonald’s Favorite driver of 2015. The Favorite Driver and one lucky fan will each receive a prize pack courtesy of McDonalds and the speedway. You can vote for your favorite Fulton Speedway driver by visiting the Fulton McDonald’s on South Fourth and Burt streets or the Baldwinsville location on 2234 Downer St. Adult grandstand admission on August 8 will be $12 with everyone 18 years old and younger free. Pit admission is $27 participant/$30 non-participant. Gates will open at 5 p.m. with racing at 7 p.m.